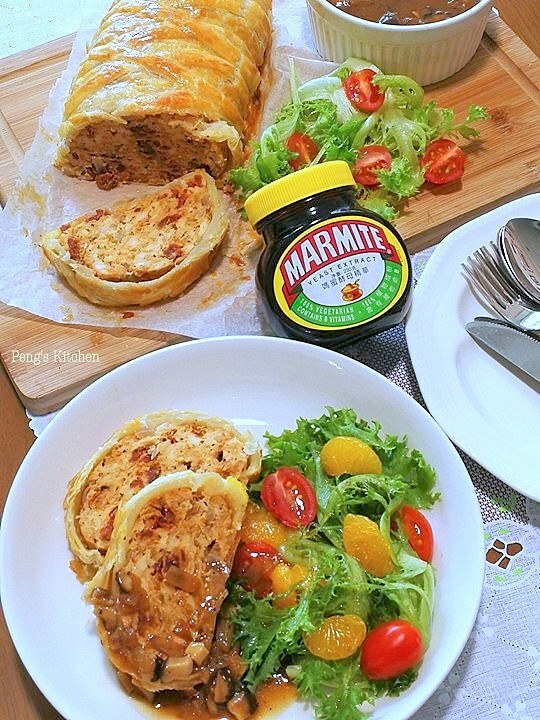 Marmite mushroom sauce is optional but it really compliments this marmite chicken roll puff pastry! My kids could not stop helping themselves with the rich flavour gravy! 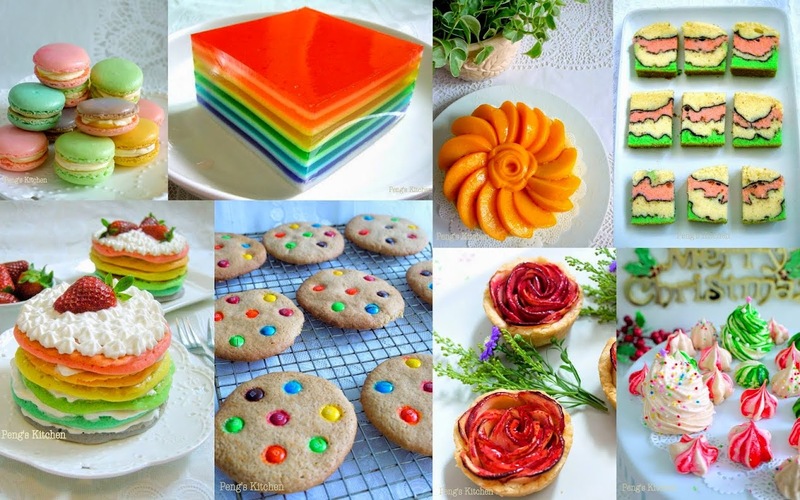 Combine all filling ingredients and mix well together. Place a sheet of puff pastry on a lined baking sheet. Place the filling onto the puff pastry. 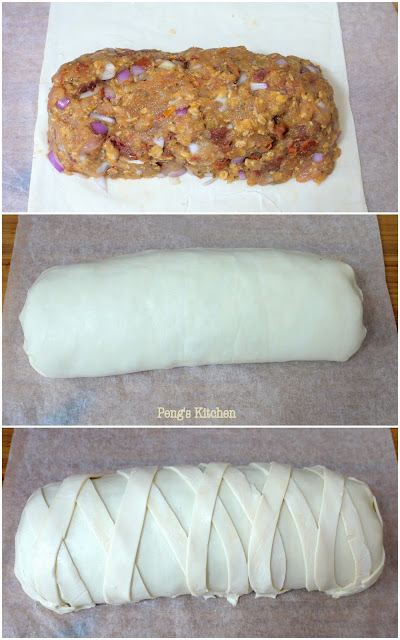 Shape into a large loaf and roll the pastry up, seam side facing down. Cut the other puff pastry into stripes. Lay the stripes diagonally over the rolled pastry. Brush with egg wash all over. 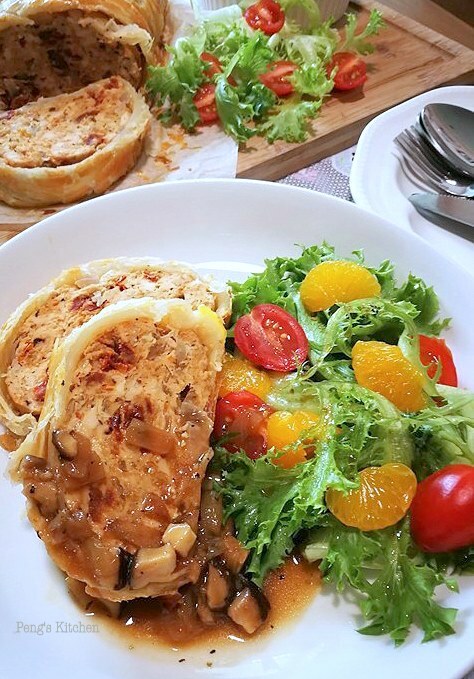 Bake in preheated oven at 180 deg cel for 35-40 mins, or until the pastry is golden brown. Remove from oven and rest it for 5 mins before serving alongside with marmite mushroom sauce and salads. Heat oil in pan. Add onion, garlic and mushroom. Fry over medium low heat for 5 mins until soft and fragrant. Push the mushroom to the side of the pan. Add butter in the middle. Add flour to the melted butter. Stir for a minute. 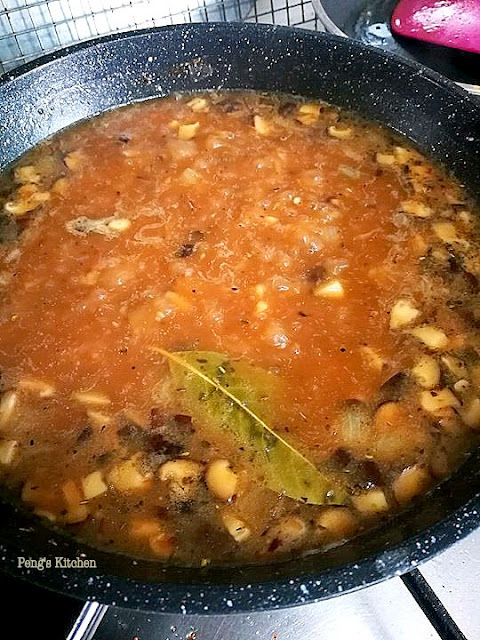 Add hot water and combine with the mushroom mixture. Bring to a simmer. Add marmite, chicken powder seasoning, herbs, sugar and pepper. Simmer the mixture over low heat, stirring occasionally until it thickens, for about 10 mins.